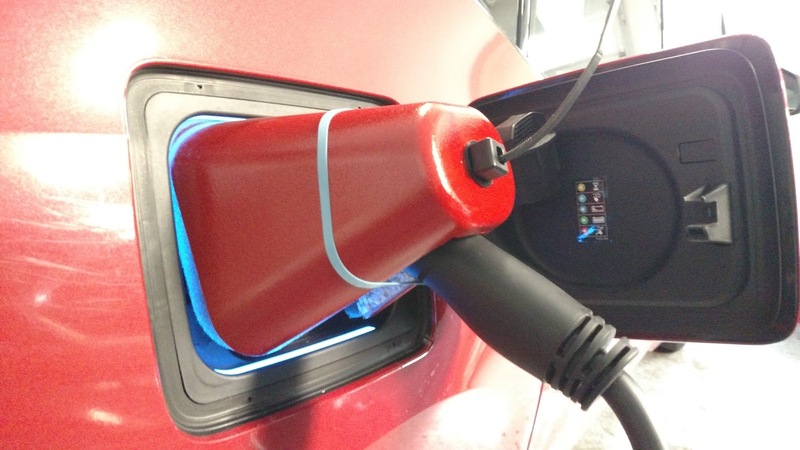 Charge ports on electric cars are similar to the fuel tank filler openings on gasoline and diesel cars in that the fuel or energy is transferred into the vehicle through an opening that is typically concealed by a small door or flap. However, since electric vehicles take much longer to recharge than conventionally powered vehicles take to refuel, the charge port is open much longer than a fuel filler door would be. 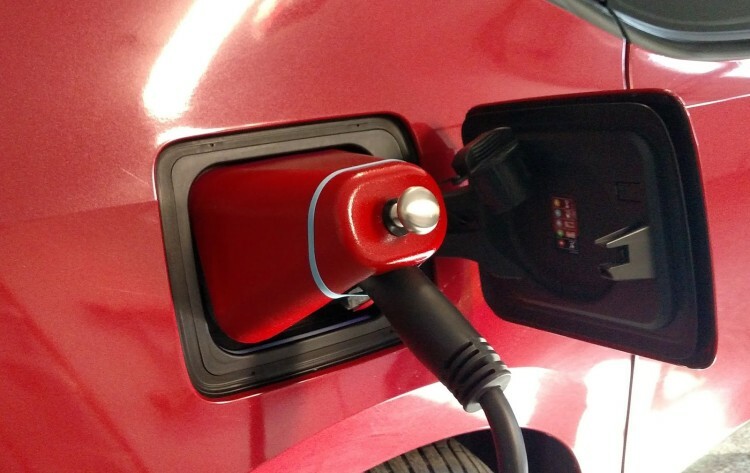 While a gasoline stop may mean the filler door is open for two or three minutes, an EV’s charge port will likely be open for many hours, and even all night long. In adverse weather conditions that may cause problems. I’m just about through my second winter with my i3. This winter hasn’t been too bad, as it has only snowed a couple times here in Northern New Jersey. Last winter was much worse and we had about a dozen snowfalls. Most of my charging is done at home, with my car nestled safely in a heated garage, so it isn’t exposed to the elements while charging. However I also charge at work when I need to, and that’s outside in the parking lot of my restaurant. So I do have plenty of experience charging outside in inclement weather. My charge port was iced up after a recent snowfall and I had trouble getting the charge port door to close. 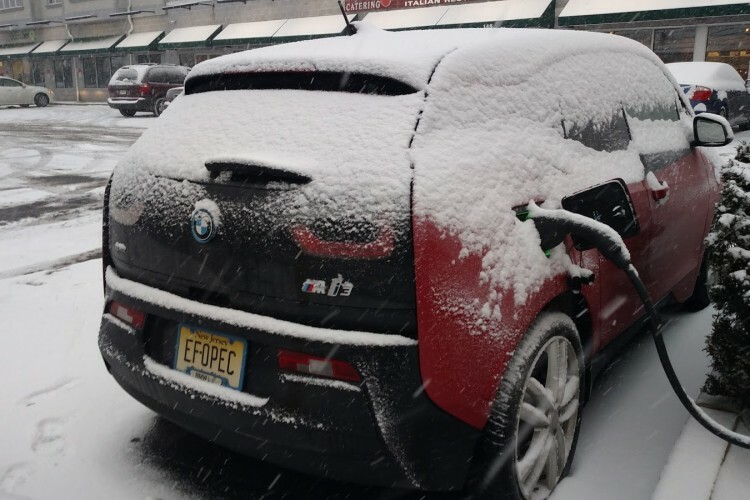 One thing I’ve noticed on my i3 is the charge port locking mechanism can get jammed by snow or ice, and refuse to allow the charge port door to stay closed. 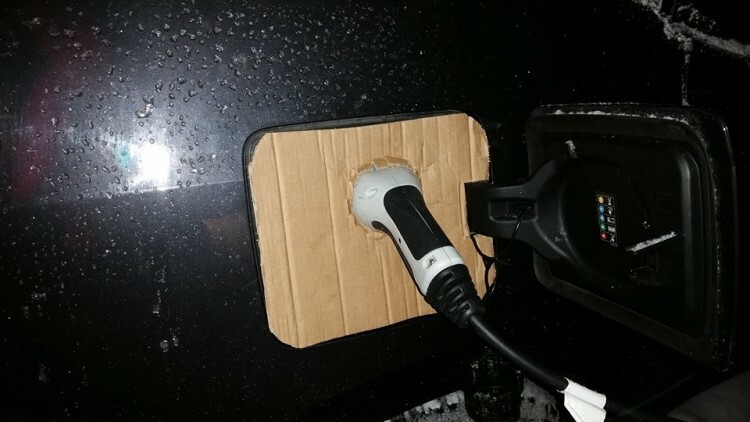 It’s not a monumental issue, since the i3 also has rubber caps to seal the J1772 and CCS inlets so even if you can’t close the door, the charge port is safe from water damage. Still, I view this as a problem since I’ve had it happen a couple of times and other i3 owners have reported experiencing the same issue. – BMW i3 owner Are Stig Larsen, Norway. I wonder if BMW just missed this, and designed the charge port as if it was going to be used like the fuel filler ports are on their gas and diesel cars? It’s particularly strange because I never had this issue on my previous EVs, which were also made by BMW (MINI-E and ActiveE). 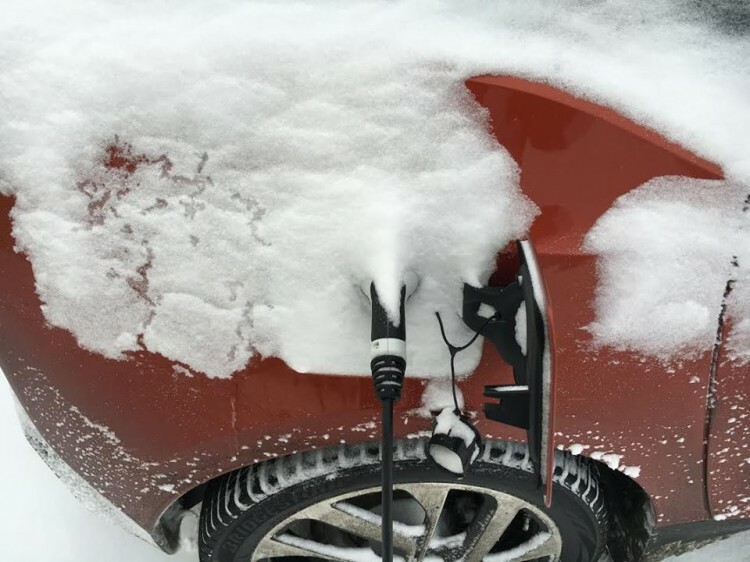 Since charge ports for electric vehicles will be open for many hours every day and exposed to all kinds of weather, I think a higher level of though must be applied to their design. Based on the issues I’ve seen, I’m just not sure that was the case with the charge port for i3. To be fair, a simple internet search will reveal owners of Chevy Volts, Teslas and Nissan LEAFs lodging similar complaints, so it’s not exclusively a BMW problem. The question is, should we really have to deal with this, or can EV engineers figure out a way to solve the problem without adding too much cost to he vehicle? 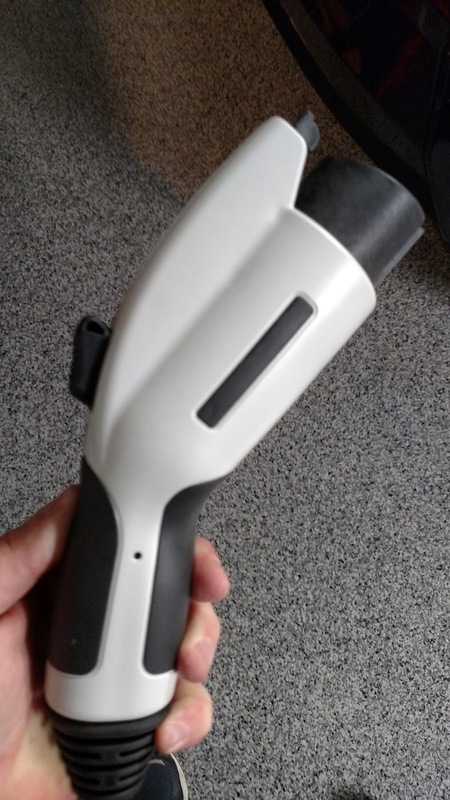 Necessity is indeed the mother of invention, and I’ve seen various i3 owners come up with a couple of different ways to attempt to solve the problem. One person tried using a plastic shower cap with marginal success. There have also been a few cardboard cut outs used, and I think they worked pretty well. The problem is the cardboard gets ruined by the moisture and can only be used a couple times before needing to be replaced. 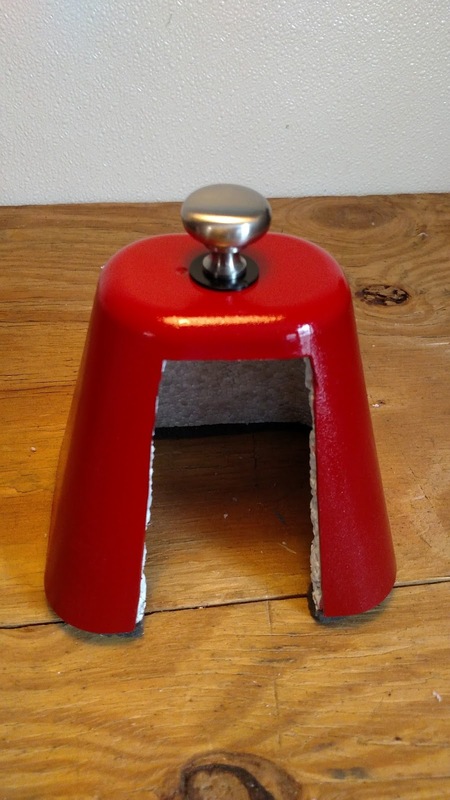 However there is one solution which seems to be gaining traction as the go-to life hack for this issue, and that involves using an insulated outdoor faucet cover. 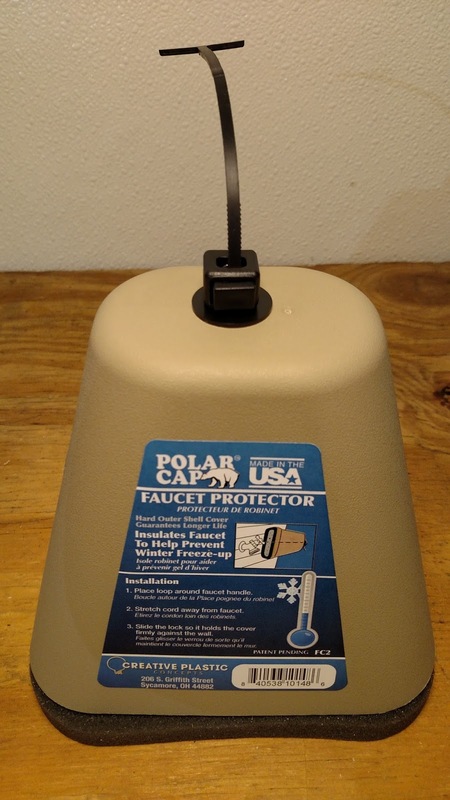 Outdoor faucet covers are made to help protect an outdoor hose valve from freezing. They are typically made of styrofoam and have a plastic draw string which latches onto the spigot to keep the cover from blowing away. The higher quality covers have a plastic outer shell with a styrofoam lining on the inside. One such cover is available at Lowe’s Home Improvement stores for $2.98. It’s made by Creative Plastic Concepts and is a near perfect fit for the i3’s charge port opening, making it an excellent choice. You’ll want to get one with the hard plastic shell, like this one. The styrofoam covers don’t last as long because once you cut them to make an opening for the connector, they tend to gradually crumble and break apart where you made the cut. The covers with a plastic shell are only $1.00 more than the all-styrofoam, and it’s a dollar well spent. 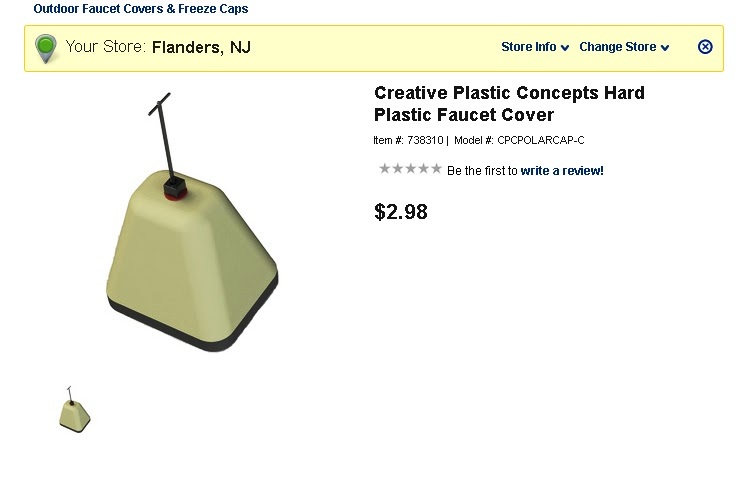 Creative Plastic Concepts has two different models available at Lowe’s. The hard plastic one is more durable and a better choice for this use. The good news is it only costs $2.98! Similar covers are also available on Amazon. The only modification necessary is to cut out an opening for the charging connector. To do so you’ll need an X-Acto knife, or similar utility knife. The opening must be cut on one of the wider sides of the cover (it’s rectangular, not square) and needs to be at least 2 1/2″ wide to accommodate different sized J1772 connectors. I cut mine 3″ inches wide, to make sure CCS (Combo) connectors would also fit without issue. Make sure you cut the opening just about all the way to the top of the cover, and I’ll explain why this is necessary later. The cover fits so snugly it will stay in place by itself under most instances. However in windy conditions, it may blow off but there are two methods to prevent this. First, the plastic draw string which was meant to hold the cover on the faucet can be used to hold the cover on the J1772 connector. Loop the end of the string onto the top of the release button on the connector and pull it through the top until it’s tight. There is a small spring loaded locking mechanism on top of the cover which holds the plastic cord in place. The one problem with this is that not all J1772 connectors have the same type of release button. Some just won’t accommodate the plastic loop that holds the cover in place. My answer to this is to simply carry a rubber band with you, and use it to hold the cover in place. 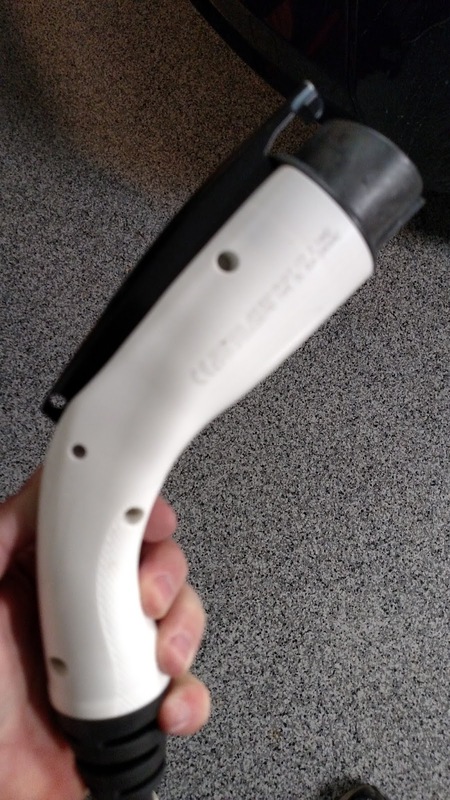 This eliminates the potential problem of arriving at a public charging station which uses a connector that won’t allow you to loop the plastic draw cord around the release button. 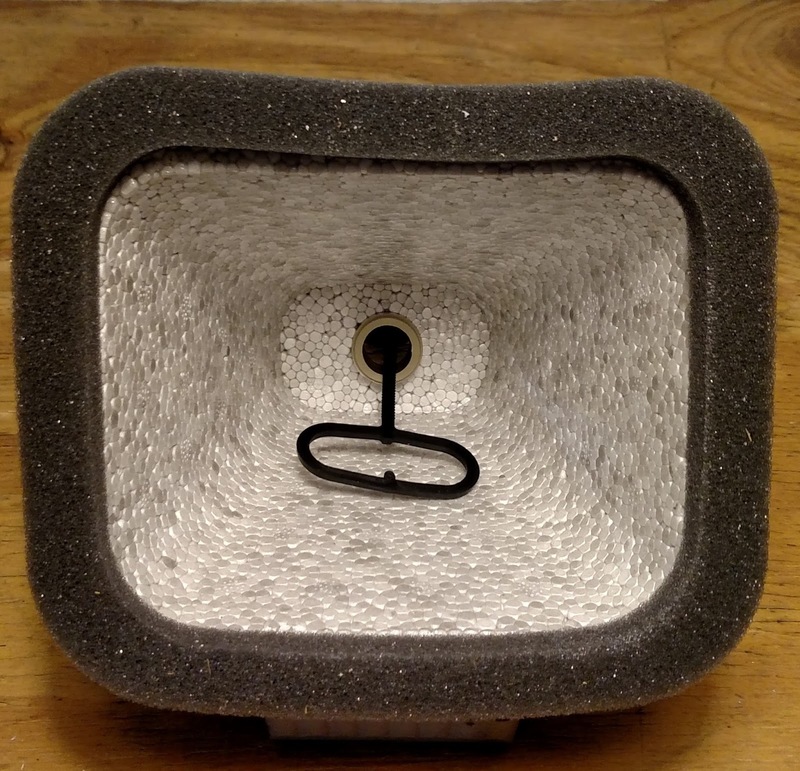 Since I use this method, I no longer needed the plastic draw cord, so I removed it and in its place attached a kitchen cabinet knob which I had left over from my last kitchen renovation. I know a few people who use the plastic loop cord that comes with the cover without problem, but they haven’t come across an EVSE with a release button that won’t cooperate, but eventually they will. A rubber band will secure the cover from blowing off and will work with any type of connector. The supplied plastic draw string won’t work with some J1772 connectors. It only costs you $2.98 if your cover blows away, but it’s the hassle of having to buy another one and cut the opening if it does. For that reason alone, I think it’s a good idea to make sure you have a few rubber bands handy when you plan to use the charge port cover. 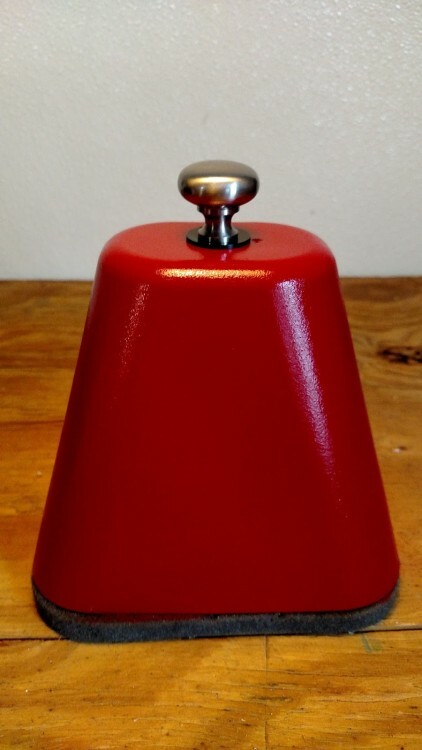 I gave my cover a paint job and came pretty close to matching the color of the red wrap that I have. The cover’s stock drab tan color just didn’t do it for me so I splurged for another $3.99 and picked up a can of spray paint. So for under $10 I’ve solved the problem, and stylishly I might add! I think this is something BMW needs to take a closer look at, and perhaps rethink. Maybe a heated locking mechanism or a redesign that better prevents this icing up issue. This is just another example of how the engineers need to really rethink everything when they design an electric vehicle. 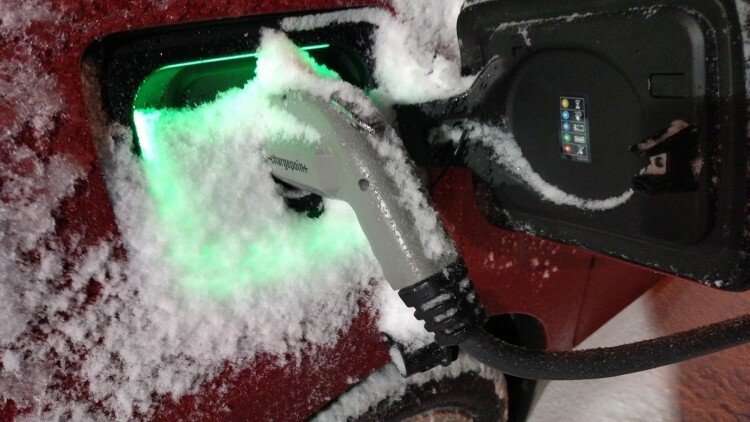 The user interaction with an EV’s charge port is much different than interaction an ICE owner has with their fuel port. This is just another example of how OEMs can benefit from tapping into the knowledge of existing EV owners through focus groups and surveys. I’ve long been advocating these methods to help the manufacturers make better EVs. The finished product. I even found a BMW i Frozen Blue color rubber band. It’s pretty amazing how well this cover fits the i3’s charge port opening. It’s almost as if it were designed purposely for this application. Until they come up with a redesign or some other solution, I think BMW should make something like this and sell it alongside the other BMW i accessories that they offer. I’m sure i3 owners wouldn’t mind spending $20 – $30 for an item like this which can save them a lot of aggravation, especially if they live in a cold weather region. BMW could probably just get Creative Plastic Concepts to modify and make it for them. BMW can then slap a BMW i logo on it, and they have a workable solution until a permanent modification is in place. I mentioned above that it’s important to cut the opening all the way up to the top of the cover and I’d explain why later. The reason is because not all J1772 connectors are created equal. 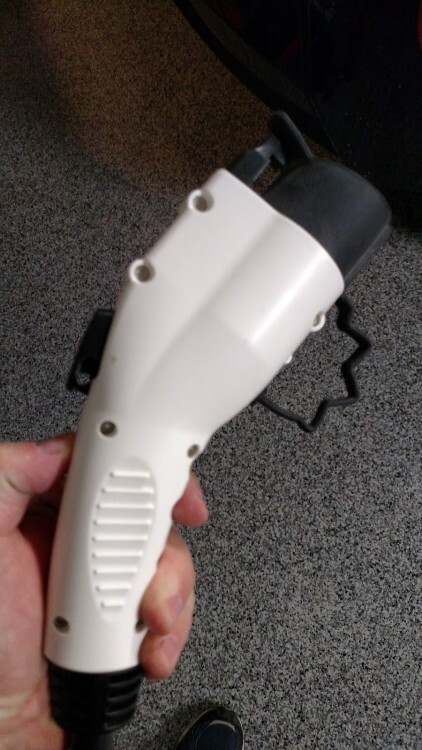 If the top part of the connector is long, it will stick up higher when connected to the car. This requires a longer opening than connectors which have shorter ends. 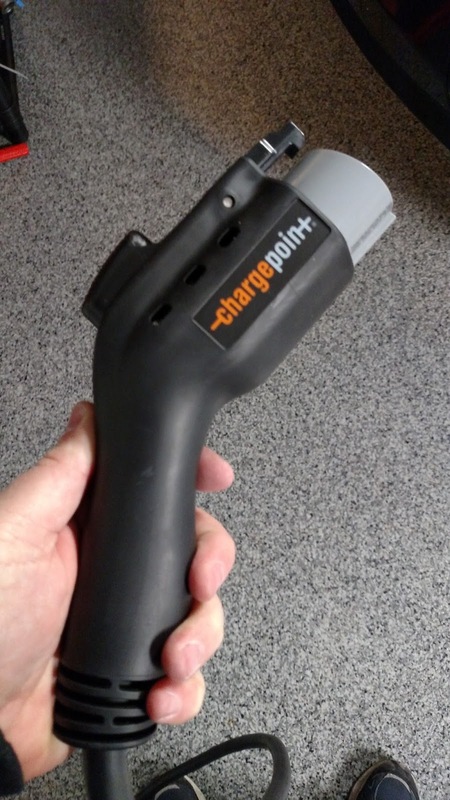 Take a look at the pictures below and compare the ChargePoint Home connector to the ITT J1772 connector used by Bosch on their Power Max 2 EVSE. You can see how much longer the connector is and if you don’t extend the opening on the cover all the way to the top the longer connectors won’t fit, and they’ll push the cover away from the car. You can also see from the pictures how some release buttons won’t work with the cover’s plastic loop system to hold it in place, requiring the use of the rubber band method.